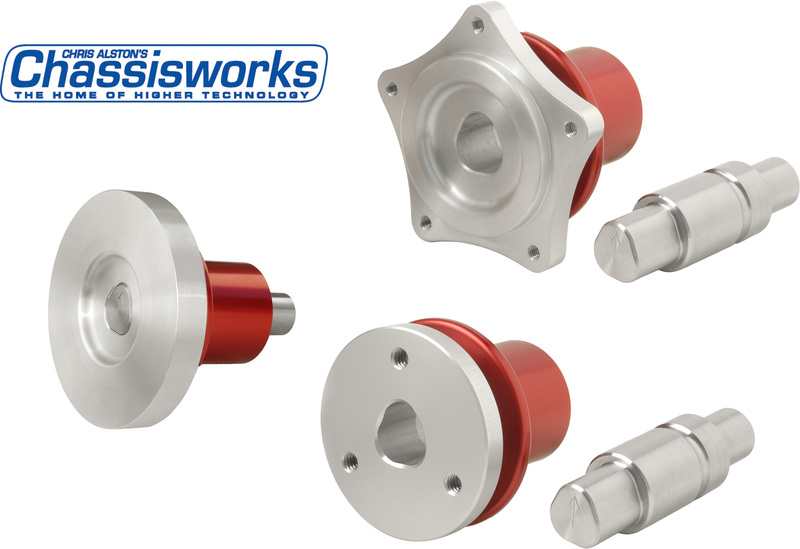 From the talented folks at Chris Alston’s Chassisworks comes a selection of billet quick-release steering wheel hubs that features a unique polygon-indexing mechanism with a positive-locking collar latch to create a hub system that eliminates play and is much easier to use than pin-lock designs. 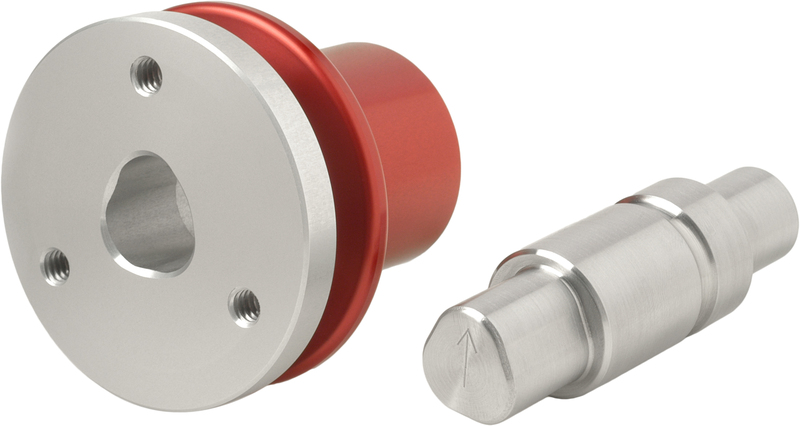 The billet steering-shaft adapter is designed for welded installation with ¾”-OD x .049-wall steering-shaft tubing and features an engraved orientation arrow on the indexing post to more easily and quickly install the steering wheel. 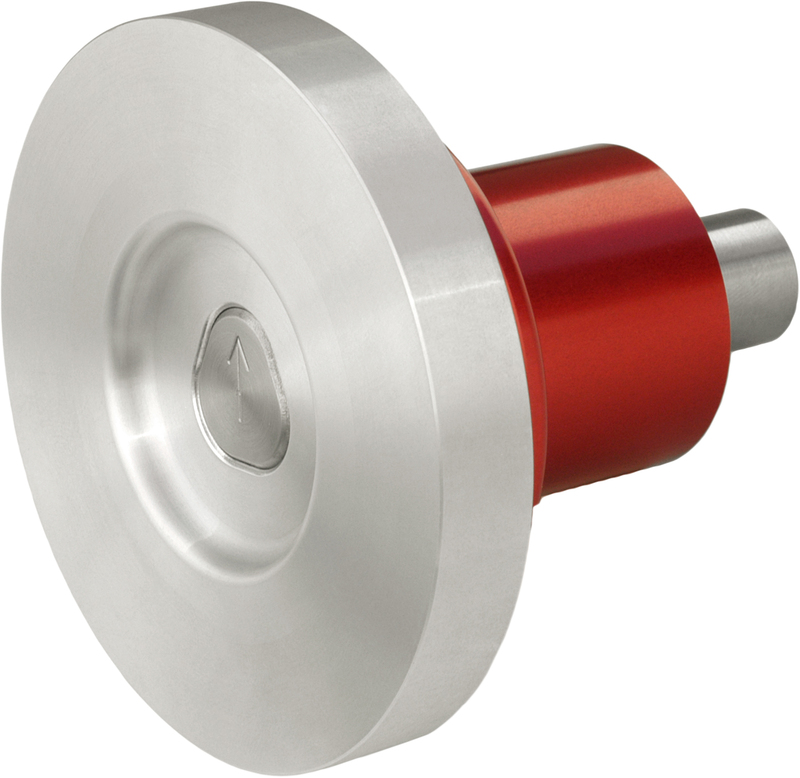 A broad spring-loaded hub collar must be manually compressed as the hub is placed onto the shaft adapter and provides a positive click indicating that the hub is correctly latched. Multiple hub styles are available; pre-drilled 3-bolt and 5-bolt flanges to fit common aftermarket steering wheels, and a blank flange version, which can be drilled for installation with less common wheel patterns. 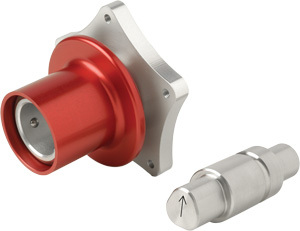 Billet hub and adapters sets start at $69. 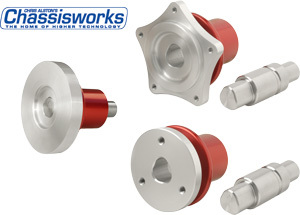 For complete details visit www.CAChassisworks.com or call direct to 888-388-0298.